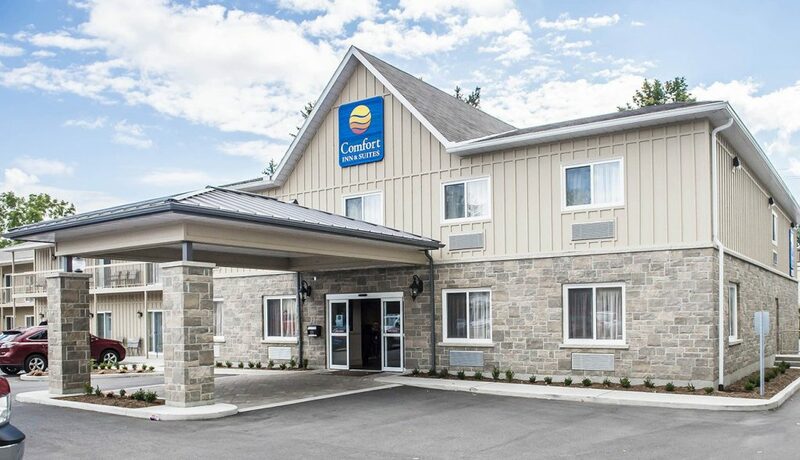 Newly built in 2014, Comfort Inn & Suites Thousand Islands Harbour District, features fabulous amenities and a fantastic location just a few minutes walk to the waterfront and downtown Gananoque. 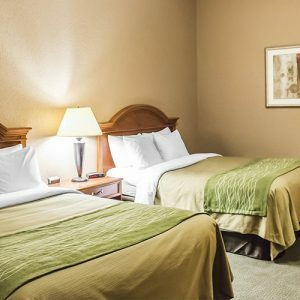 The Comfort Inn & Suites® Thousand Islands Harbour District hotel is conveniently located less than one mile from the Thousand Islands in the St. Lawrence River, one of the city’s most popular tourist attractions. When staying at this Gananoque, Canada hotel, you’ll enjoy local attractions and activities like boat cruises to the Thousand Islands and Boldt Castle, gambling at the Shorelines Casino, and productions and a summer theatre festival at the Thousand Islands Playhouse. The city of Gananoque is often referred to as the Gateway to the Thousand Islands . While visiting this beautiful city, be sure to enjoy the wide variety of restaurants and unique shopping opportunities. Your Morning Breakfast is full of hot and delicious options, making breakfast at the Comfort Inn & Suites Thousand Islands Harbour District the perfect way to start your day. Enjoy our free hot breakfast featuring eggs, meat, yogurt, fresh fruit, cereal and more, including your choice of hot waffle flavours! Keep in shape while traveling by utilizing the on-site exercise room. After a busy day of meetings or an exciting day of sightseeing, relax with a swim in the indoor heated pool. Corporate travelers will appreciate conveniences like a public computer with Internet access and the on-site business center. All guest rooms have coffee makers, hair dryers, cable television, microwaves and refrigerators. Ask about rooms with whirlpool bathtubs. The Comfort Inn & Suites Thousand Islands Harbour District hotel is the perfect place to stay when exploring the Gananoque, Canada area. Make us your home away from home! This was our first to Gananoque in the 1000 Island area. We were pleasantly surprised by the hospitality and wonderful accommodations as we typically stay in Hilton/Fairmont hotel chains. We were completely satisfied with room which had a jacuzzi & an electric fireplace. It was clean and the beds were comfortable. We had a lovely evening and New Year's dinner at Riva next door. It was so easy to walk to our hotel room, right beside. Our king room was very comfortable, complete with duvet and flat screen TV and it was very quiet. We felt as though we were sleeping in the country. We will be back for sure. Why can't every overnight stay be like this? Clean and comfortable. Helpful and courteous staff. Breakfast was good. All for a reasonable cost.